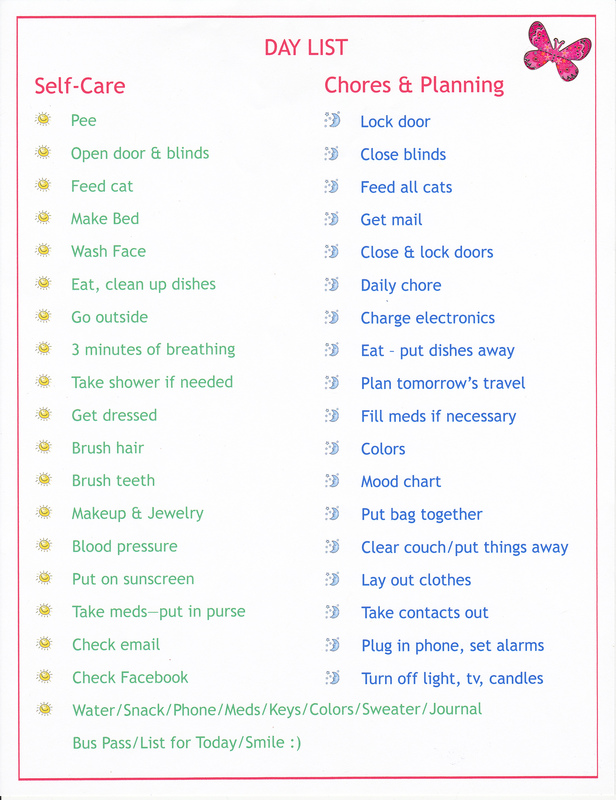 This entry was posted in How To, Just sharing, Mental Illness and tagged coping skill, day list, gets me through the day, helpful hints, how to, memory helps, memory problems, mental illness, positive, proud of myself, recipe, self-help, sharing, success, tips and tricks, to do list by writingtowardshappy. Bookmark the permalink. folks don’t discuss these issues. To the next! Best wishes!! Thank you for this… I can’t express how grateful I am… I’m crying right now because it’s 4:30am and I’m already a mess… Thinking I was crazy as I Google “What do i really need to do every day”… I have tried to ask others for help with this but they just don’t seem to understand how I can forget to do “simple everyday tasks”… or forget that I have done them… so thank you, a hundred million times, thank you!! !